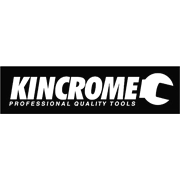 The Kincrome Classic 2 Tray Tool Cart is perfect for the home, workshop or garage and is ideal for trade professionals or home users. Made from heavy gauge 1mm cold rolled steel and fitted with 76mm heavy duty castors, two with swivel-lock, it includes reinforced castor channel support, a side handle and two 90mm deep shelves. 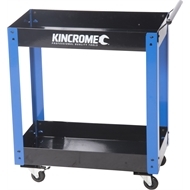 Built to a Kincrome standard of quality, you can be sure the Kincrome Classic 2 Tray Tool Cart will handle any job.